My favorite thing to do, on Sundays, is to spend time with family and take my 98 year old mom out for a burger and beer! I like to collect things such as antique battery operated toys from the 50’s and 60’s, vintage memorabilia related to Dodge and Plymouth such as signs, old oil cans, or anything to do with MOPAR. I also have an extensive collection of Jack Daniels signs, old bottles, gift sets, etc. 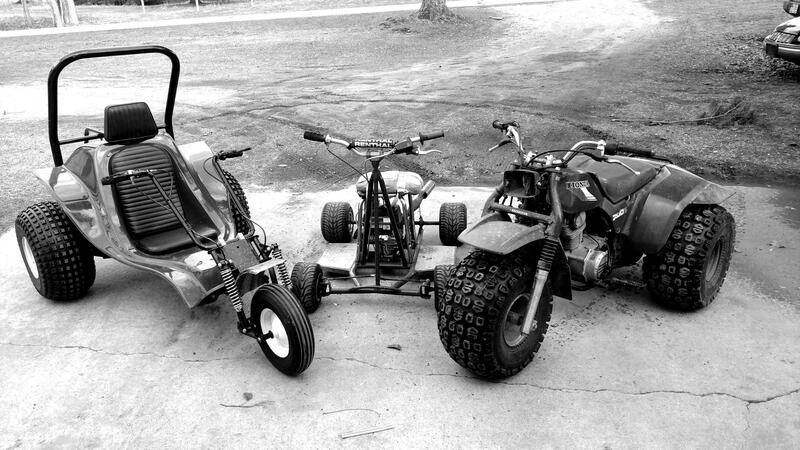 Last, I really enjoy riding around on a play toy whether it be a 3 wheeler, tri-rod, bar stool racer, or lawn mower that pulls wheelies! Being how I am now, I reckon’ some people would be surprised that when I grew up as a kid, I was an alter boy! I guess it wouldn’t have to be someone famous, but I think it would be fun to have dinner back in the Old West with some good ol’ cowboys. Listening to stories, having a beer, and sopping up some gravy with homemade bread!